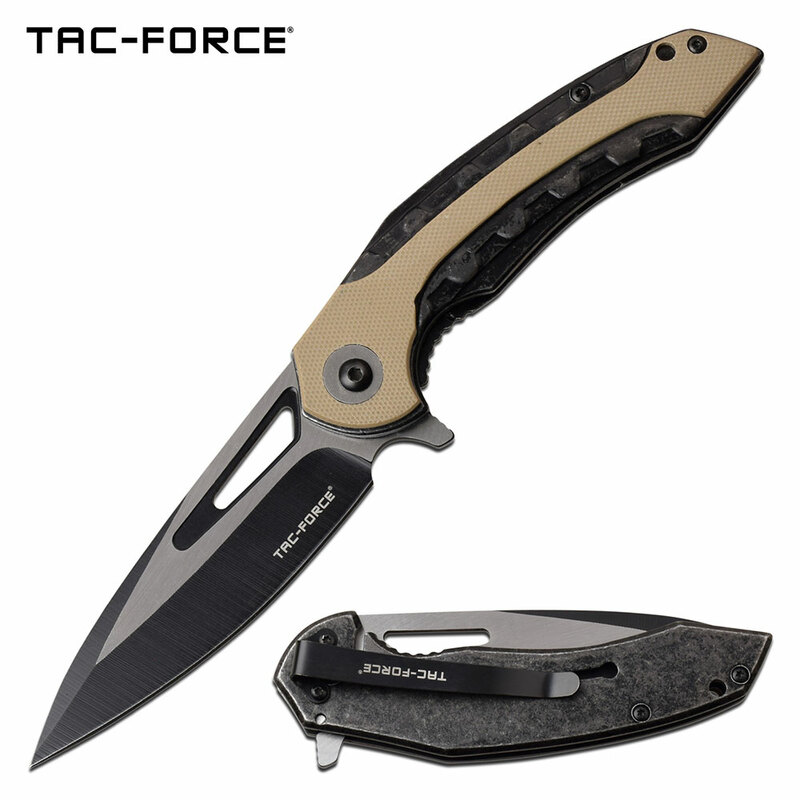 Tac Force spring loaded knife. The pocket knife has frame locking mechanism. Knife blade is 3cr13 steel two tone blade 3.5 inches long. Tac Force assisted opening knife with stainless steel and g10 handle. The pocket knife is 8 inches open length with a blade length of 3.5 inches long.